· The percentage of Americans over 65 who will need LTC insurance, according to longtermcare.gov. · The number of years care may be needed, according to an AARP report. · The percentage who will spend $250,000 or more on care, according to a report from the National Association of Insurance Commissioners (NAIC). · The number of insurers now offering stand-alone policies. · Typical premium costs, which vary widely depending on benefits desired. Additional information, beyond the article, is available from Robinson organization. 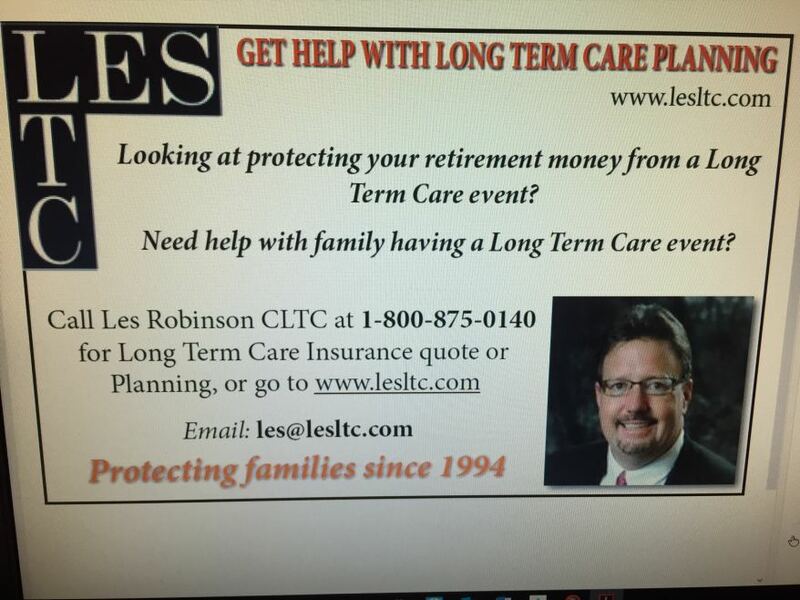 "We are specialists who help people nail down whether LTC insurance makes sense in their particular case," says Robinson. "If it does make sense, we advise them on their policy options and set them up with a top-rated carrier." · And additional protections including LTC education and referrals to care services.